Mindful Academy Solterreno, and SOLTERRENO S.L. All payments to Mindful Academy Solterreno and SOLTERRENO S.L. are in Euros. Due to demand, on acceptance to a Residential Mindful Academy Solterreno Teacher Training, CPD course or Retreats we can only hold a provisional space for 7 days. To secure your space on a Residential Mindful Academy Solterreno Teacher Training Courses, CPD courses and Retreats a 600 euro deposit is required. This deposit is non-refundable and non-transferable in any circumstances. In the case of Mindful Academy Solterreno Teacher Training, CPD courses, and Retreats the balance of payments must be paid at least eight weeks (56 days) before the start of the Course unless advised otherwise. If payment is not received your space may be cancelled and we are unable to return deposit payments. If you wish to cancel your Residential Mindful Academy Solterreno Teacher Training Courses, CPD courses and Retreats within 0-56 days of the start date we are unable to give a refund of the balance payment unless there is a waiting list for the event and we can transfer your booking to another applicant. Please note, the deposit payment is not refundable or transferable in any circumstance. If for some reason you begin a Mindful Academy Solterreno Residential Training course, CPD course or Retreat and cannot finish for whatever reason we will not be able to refund your fees. If taking a Mindful Academy Solterreno Teacher Training course as Modules, they must be completed in numerical order, unless prior written authorisation by Mindful Academy Solterreno has been given. It is your responsibility to check that any qualification’s given by Mindful Academy Solterreno are accepted in the Country that you wish to work in. 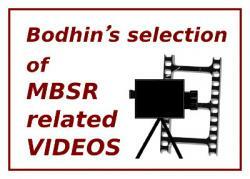 In order to receive your 200hr Mindfulness Meditation MBSR Teacher Training Course certificate you must complete the full Training to the required standards outlined in the Mindfulness-based Teaching Assessment Criteria (MBI-TAC) including all pre-course work. 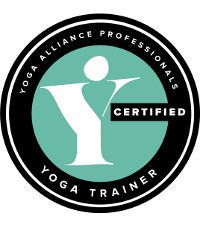 On graduation you will be eligible (at your own cost) to register with the Yoga Alliance Professionals if you so wish. Mindful Academy Solterreno have strict no drugs policy, failure to comply would result in you being asked to leave the Course or Retreat. All extras (massage etc) must be paid for before you leave. We require everyone attending a Residential Mindful Academy Solterreno Teacher Training, CPD courses, Retreats and 1-1 Distance Learning course to complete the Student Application form giving full details of your experience, certificates and any health concerns prior to booking. By agreeing to our terms and conditions you: "As a student of our training course, I consent to my contact details (name, email and phone number) being passed onto our partners, Yoga Alliance Professionals, so they can contact me directly and invite me to register as a Trainee and Teacher. I understand that I have the option of opting out of this registration process." Mindful Academy Solterreno cannot accept liability for cancellations, delays or changes caused by war, threat of war, closure of airports, Brexit, civil strikes, industrial action or natural disaster or other events outside of our control. Mindful Academy Solterreno requires full payment for the Live Online 8 week MBSR course on acceptance and agreement of dates and times. You may withdraw your application 8 weeks prior to the course commencement date, at which point you will be offered a refund, minus a 25% admin fee. If you cancel the course within eight weeks of the course commencement date, no refund will be offered. Please note, dates for sessions cannot be changed. Mindful Academy Solterreno cannot accept liability for participant’s medical conditions which may develop during or subsequent to the course. Loss of, or damage to personal property of participants. In the unlikely event that Mindful Academy Solterreno cancels your course, 100% of your deposit and payments will be returned. Where a teacher is unavailable we will make every attempt to replace with a teacher of similar professional standard. In order to participate in the Residential Mindful Academy Solterreno Teacher Training, CPD Courses and Retreats, all participants must have comprehensive travel, cancellation and medical insurance in place prior to travel. Any photo's taken during the Residential Mindful Academy Solterreno Training Course, CPD and Retreats are the property of Mindful Academy Solterreno and may be used for promotional purposes, it is your responsibility to advise in writing if you do not want your photo taken and used in this way. Feedback given to Mindful Academy Solterreno by email or on a Course or Retreat feedback form may be used to as promotional material on the Mindful Academy Solterreno, Mindfulness Spain, venue websites and other promotional websites. It is your responsibility to advise in writing if you do not want your feedback to be used publically.